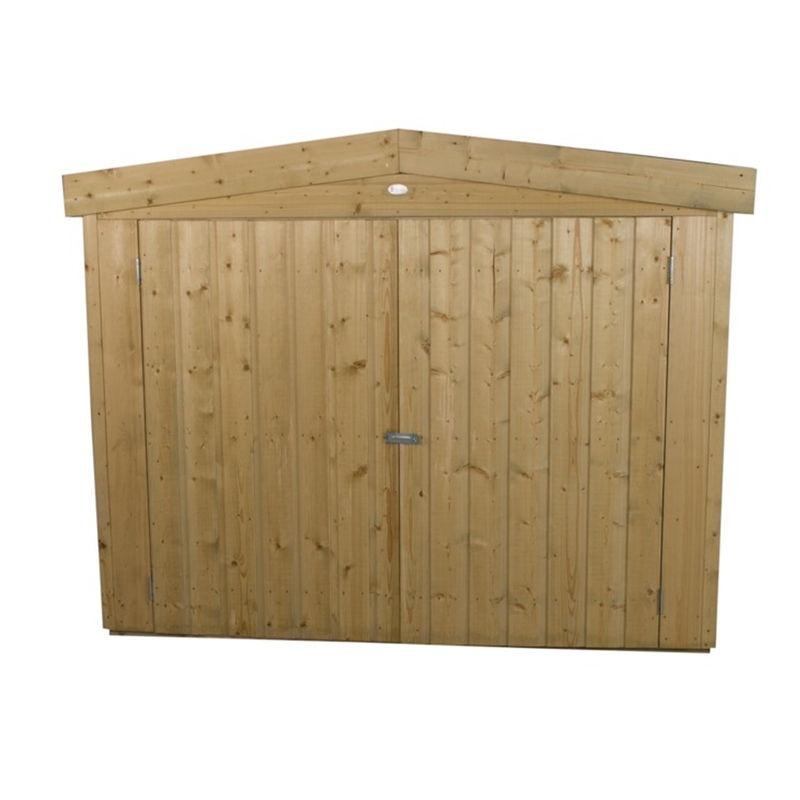 This garden store is a shiplap tongue and groove design and a stylish alternative to a shed. Its generous 2000 litre capacity allows a large amount of storage and with double doors it provides easy access to the contents inside. 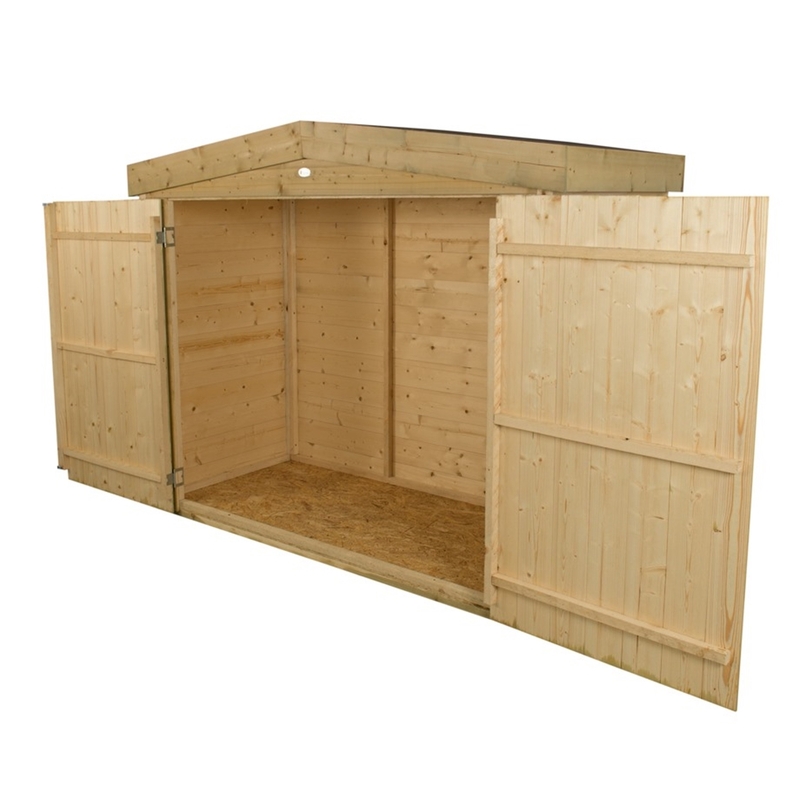 The pressure treated store offers height so you're able to store away garden items such as spades, forks and brooms. 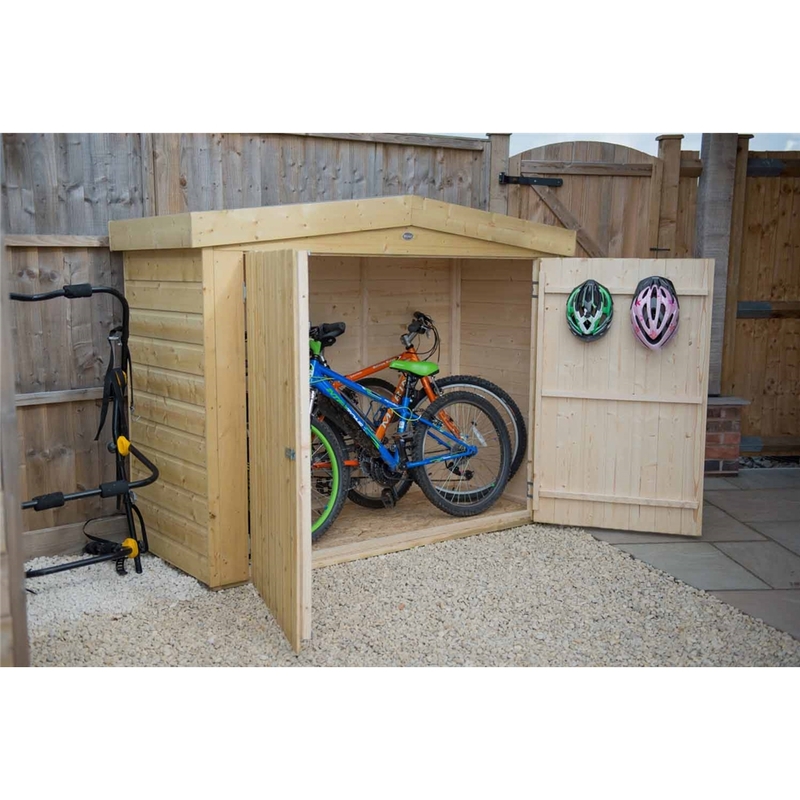 The garden storage unit has robust interlocking tongue and groove construction made from smooth planed pressure treated boards. The floor is mounted onto pressure treated bearers that help raise the unit off of the ground to keep it dry. There are hidden door hinges for added security, there is also a plate hasp and staple where an additional padlock can be added to keep the contents of the garden store safe and secure. This apex roof has green mineral felt which can be assembled to slope back or forwards, dependent on your preference.